I started with Eric Carle because it was an easy marketing approach to get families interested in attending the program. Carle is recognizable and universally adored. To begin our program, I explained what an author was and what an illustrator was. I talked about how each book has one of each. Sometimes they are the same person and sometimes they are not. I had both options to show the kids — The Very Hungry Caterpillar and Brown Bear, Brown Bear. Then, we watched this YouTube video featuring an interview with Eric Carle. It was important to me that the kids “see” the author/illustrator we were talking about. 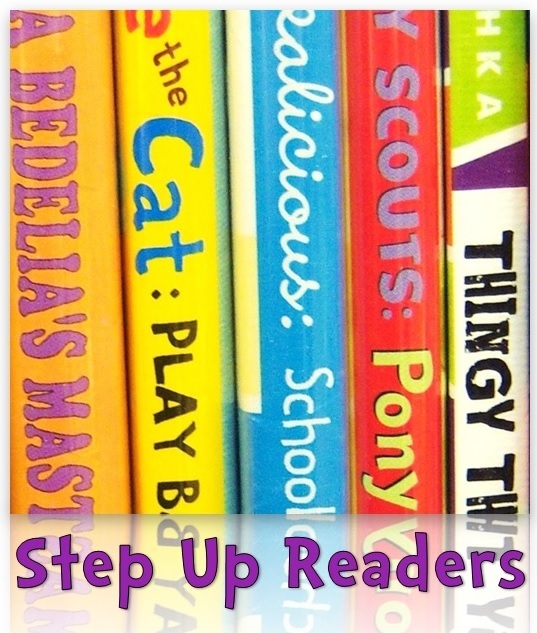 This retelling activity came from School Time Snippets, via Pinterest. The templates and instructions are available at the original blog post. I prepped each of these paint sticks and attached all of the paper cut outs to clothespins using hot glue. This was an UNDERTAKING. But it was a big payoff. Patrons walked around the library showing other patrons and signups definitely increased. On the other hand, I have not done such a project since. Pompom Matching with Brown Bear, Brown Bear What Do You See? This color matching activity came from No Time for Flash Cards, via Pinterest. I didn’t want to spend a ton of money buying several sets of magnets, so I reversed it. I made little discs of each character to insert into a muffin tin and instead provided pompoms and tweezers to match the pompoms to the character. This was probably their favorite station at this event. 6.A.ECe: Differentiate numerals from letters and recognize some single-digit written numerals. This activity was inspired by Pre-K Pages, via Pinterest. Instead of rolling a dice, I wrote the numerals for each number (1-5), as well as words (one-five) on the bottom of the ducks and set up a duck pond in the corner using our sand/water table and a water-absorbing activity mat. Kids could pull out a duck and match it to their sheet (shown in the picture; the other side has the words written out). Once they found all ten ducks, they “finished” the station though many of them kept pulling out ducks. This activity was inspired by Karen & Kim 2 Soul Sisters, via Pinterest. I printed a star out on white cardstock and let the kids glue tissue paper squares down onto the star before cutting it out. I was tickled pink when one of the kiddos made the connection that Eric Carle used tissue paper in the video we watched! I was so hoping they would make that connection and was prepared to point it out to them if I had to. This lacing activity came from Kidz Activities, via Pinterest. I just cut slits into the paper plates since I had both preschoolers and kindergarteners. It worked a lot better for us. This was the station that my volunteer wound up manning for the entire program. I would 100% do this entire program all over again. The few adjustments I would make: find a way to get the water warmer — it was so cold after sitting out for a while, start prepping the caterpillar retelling sticks earlier in the week. Overall, I was really happy with the program and so were patrons. This is a fabulous story time. Well done! I know how you feel about craft prep…I am making stick horses with toddler and pre-K this week. Lots of tracing and cutting for me. But they will love it just like your patrons loved the story telling sticks! Wonderful post and girl, it must be challenging and fun to interact with young minds. Keep up the good work.